Congregation Beth Tikvah A congregation dedicated to the principles of modern Reform Judaism. 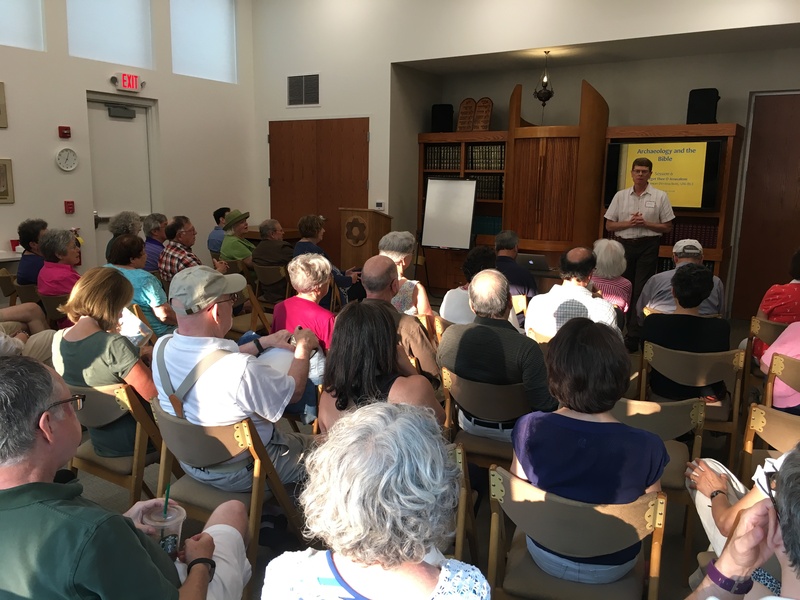 Beth Tikvah member and instructor Chris Farrar teaches a class on Biblical Archaeology (2018). Beth Tikvah Adult Education provides a series of lectures on a variety of topics for personal growth and enrichment. Lectures and forums are held on Sundays throughout the year. These presentations are scheduled on a regular basis and open to the membership and community. Topics may be political or philosophical, focus on specific issues, or explore the Jewish family of the today. Our lectures are stimulating, thought-provoking, interactive, and designed to inform, educate, and contribute to your love of learning. We invite you to join us for the next lecture series or forum. Please check the calendar for upcoming dates, locations, topics and presenters.